Sawan Shivratri~सावन शिवरात्रि in year 2018 will be celebrated on Monday, 10th August 2018. 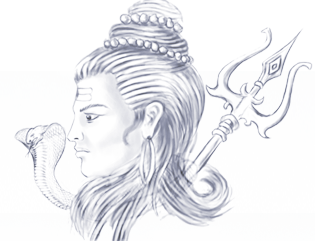 Shivaratri which falls during Shravana month is known as Sawan Shivaratri. Sawan Shivaratri likewise spelled as Shravana Shivratri. As whole Shravana month is dedicated Lord Shiva, Har Har Bholenathduring Sawan month is considered highly Bright. However, this shivratri is different from the most significant Shivaratri which is known as Maha Shivaratri. Maha Shivaratri falls during February or March which corresponds to Phalguna month. 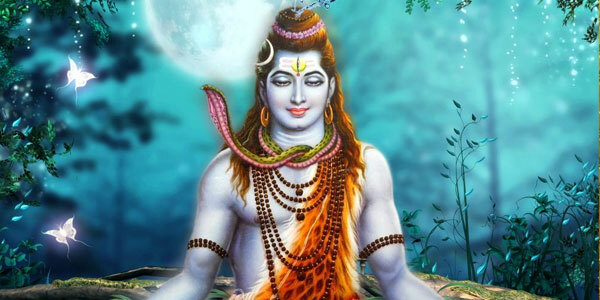 Sawan Shivaratri is more popular in North Indian states - Uttarakhand, Rajasthan, Uttar Pradesh, Madhya Pradesh, Punjab, Himachal Pradesh and Bihar where Purnimant Lunar Calendar is followed. In Andhra Pradesh, Goa, Maharashtra, Karnataka, Gujarat and Tamil Nadu where Amavasyant Lunar Calendar is followed Sawan Shivaratri corresponds to Ashadha Shivaratri. Famous Shiva temples in North India, Kashi Vishwanath and Badrinath Dham arrange Special Pujas and Shiva Darshan during Sawan month. Thousands of Shiva devotees visit Shiva shrines during Sawan month and perform Gangajal Abhishekam. – One day before Shivaratri Vrat, most likely on Trayodashi, devotees should eat only one time. On Shivaratri day, after finishing morning rituals devotees should take Sankalp (संकल्प) to observer full day fast on Shivaratri and to take food on next day after completion of fast. During Sankalp devotees seek blessing of Lord Shiva to complete the fast without any interference. On Shivaratri day devotees should take second bath in the evening before doing Shiva Puja or visiting temple. Shiva Puja should be done during night and devotees should complete the fast next day after taking bath. Devotees should complete the fast between sunrise and before the end of Chaturdashi Tithi to get maximum benefit of the Vrat. According to one contradictory opinion devotees should completed the fast only when Chaturdashi Tithi gets over. But it is believed that both Shiva Puja and completed the fast should be done within Chaturdashi Tithi.